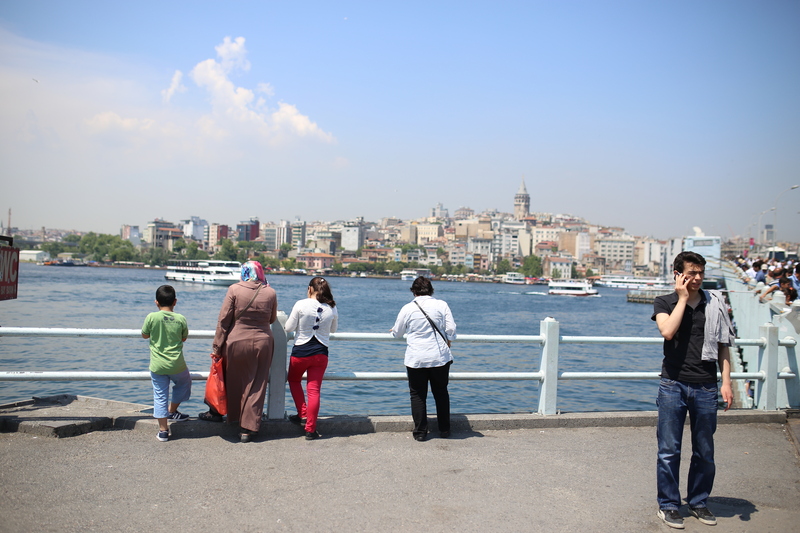 Last June, we stopped in Istanbul on our way home from Lights in Jerusalem. We were visiting on an organized whim, to meet with a space called Pera Museum about a distant potential project – a commissioned public work to celebrate their 10th Anniversary in June 2015. A year later, we’ve returned to Istanbul to round that conversation towards its ultimate conclusion: a new work. Istanbul is the stuff of myth, fantasy, and folklore. A literal collision of east and west, tectonic plates grind cultures together, resulting in a chaotic turmoil of colours, customs, and confectionary; a multi-sensory explosion. During our first visit to this city, we were both overwhelmed and strangely satiated by the evident diversity of the place. Walking over the Borsphorus and up through the markets towards the Grand Bazaar, we felt the complex momentum of people shifting through the city as rivers must feel the shifting of currents – rivers too never sleep. When it came time to imagine a new sculpture, we were presented with an intriguing challenge. We were asked to make a work for the façade of the building. 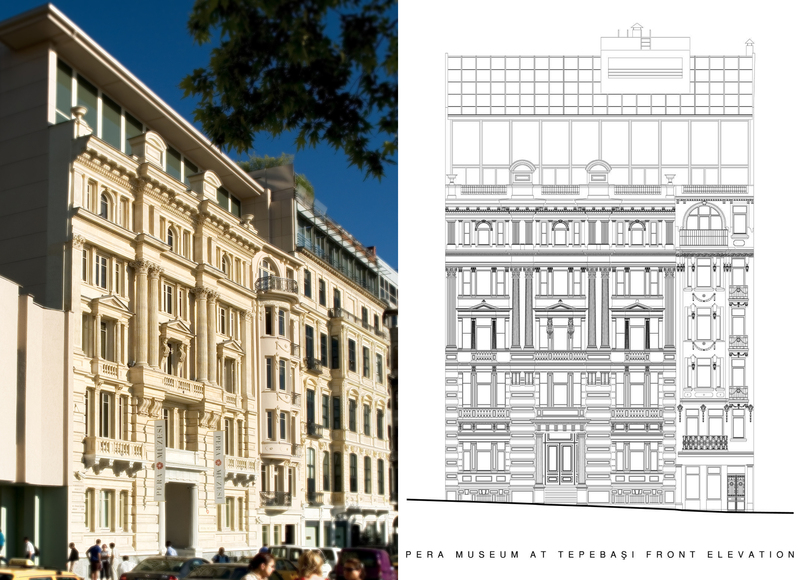 Pera Museum is clothed in the surface of Hotel Bristol, a building dating back to 1893. Established by Suna, İnan and İpek Kıraç in 2005, the interior of the building was gutted and renovated to provide suitable conditions for a variety of sensitive artworks, including exhibitions by Andy Warhol, Frida Kahlo, Akira Kurosawa, Marc Chagall, Rembrandt, and many more. 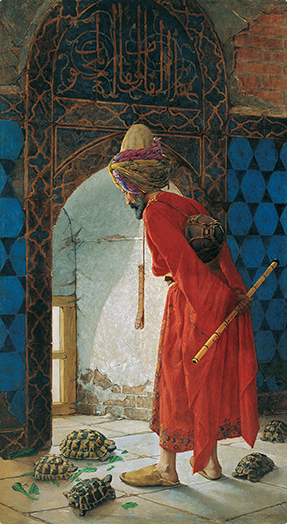 The museum houses one of Turkey’s most important collections of 17th-19th Century Orientalist Paintings, including “The Tortoise Trainer,” a national treasure made valuable for its rare depiction of Turkish culture from within (not as a exotic or romanticized novelty), painted by artist Osman Hamdi Bey in the early 20th century. Despite the age of this work and others in the collection, Pera falls into an interesting local phenomenon: most contemporary museums and art galleries in Istanbul are less than 20-years old. Especially for a city of 14-million+ people, the scene is surprisingly young. While it is certainly still forming, we would hesitate to call it “emerging,” as it immediately drew not just from a vast wealth of history, culture, and local talent, but from the profound interest of an international community. 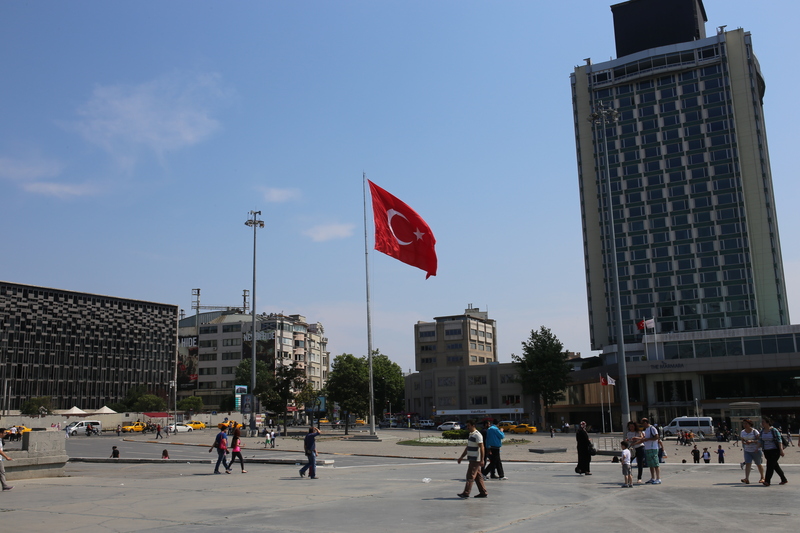 Above: Taksim Square, with Ataturk Cultural Centre depicted to the left of frame. This space is rumoured to have been mysteriously closed in 2008 for renovations, and still remains to be reopened. Within this roiling and increasingly nuanced context, we approached designing and building an installation for the facade of Pera Museum through several lenses: that of Istanbul proper as a wildly diverse, culturally rich, and socially complex organism; Pera Museum as a 10-year old art space with a significant and unique collection housed inside the shell of a beautiful & historic building; and our own arts practice as an ongoing experiment in collaborative and collective re-imagination. As these roots took hold and we began considering how to proceed, the idea behind sea/see/saw was born… but that is a story we’ll save for another day in the near future. Your poetic writing is as wonderful as your art, Caitlind. Thank you <3.